The SV650 is a bike that got many a new rider hooked on motorcycling, and as such they have a strong following. The new SV650, released this year, hopes it can live up to the popularity of the original and is one of many bikes available for test ride at the MCN Festival, May 14-15. The reworked SV is a fun little bike that will appeal to new riders and give older ones a thrill too. It’s more refined than the outgoing Gladius, has impressive new features and will also undercut its main rivals on price. Also available for test rides from Suzuki at the MCN Festival: GSX-S1000A, GSX-S1000FA, Hayabusa Z, GSX-R1000A, GSX-R750, GSR750, V-Strom 1000, V-Strom 650XT, Burgman 650 Executive and the Bandit 1250S. Advance ticket holders get first dibs on test rides, so book your tickets now and save £££s! The full list of bikes so far confirmed for test rides at the 2016 MCN Festival can be seen here. 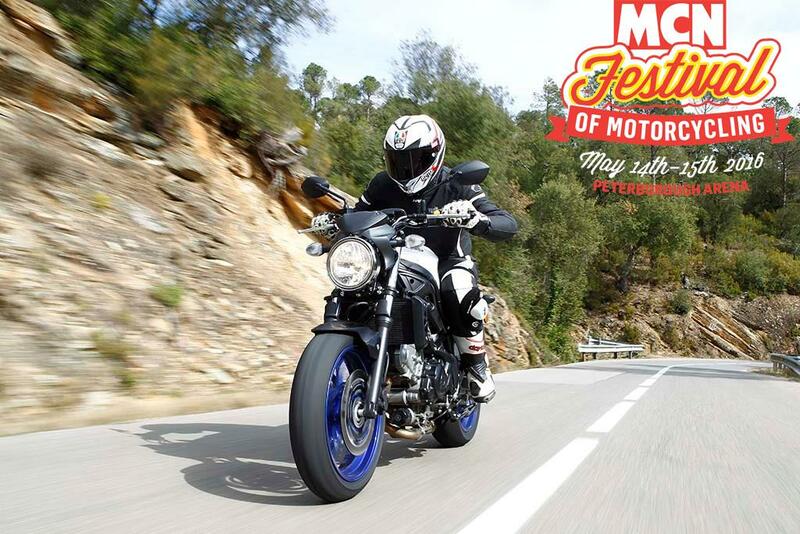 The MCN Festival of Motorcycling takes place May 14-15 at Peterborough Arena and includes live racing in the form of our Transatlantic Trophy dirt track series with Colin Edwards, classic bike test rides, retail, autojumble, classic bike parade and much more.